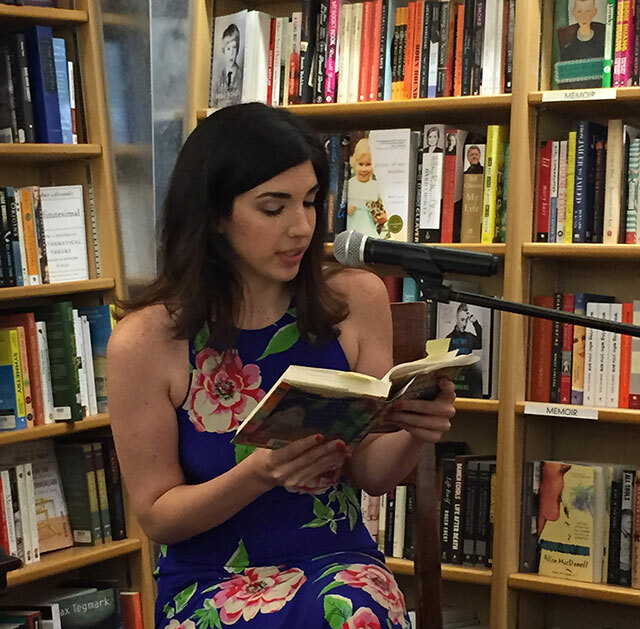 Julia Pierpont launched her debut novel Among the Ten Thousand Things with an over capacity crowd at McNally Jackson Books. 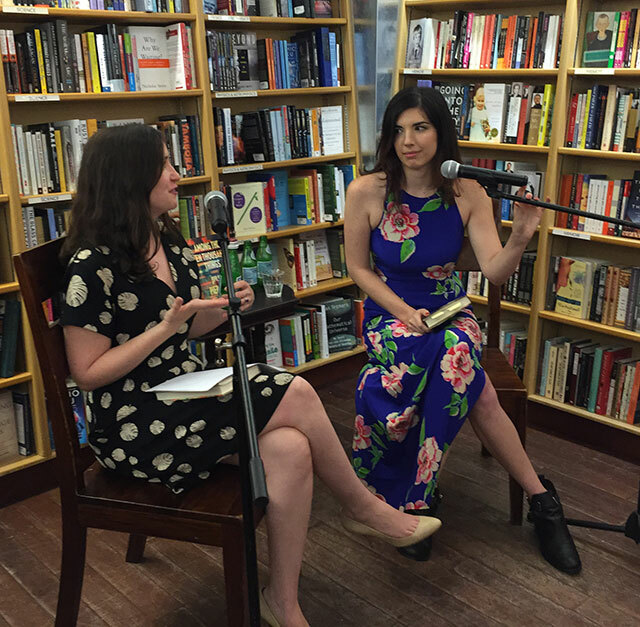 She was joined by J. Courtney Sullivan in conversation. Among the Ten Thousand Things begins with a letter from a scorned lover confessing to the wife of her lover of the infidelity. Instead, the letter is found by the children, Kay and Simon. The wife already knew. From here, Among the Ten Thousand Things launches a portrait of a family living in the Upper West Side of Manhattan. Jack, the unfaithful husband, is a famous artist. Deb, the cuckolded wife, a dance instructor. Kay, the precocious daughter, writes Seinfeld fanfiction. The hardest part of the novel was crafting the structure, Pierpont says. She observes things that inspire writing, and then she begins building a scene around that small nugget. She notices very small things that lead to the full scene. Linking them all together creates the challenge. The situation that shapes the novel arrived first. The characters came later. Pierpont explains that she knew there were places she wanted those characters to get to and things that she wanted them to experience, but did not really know who they were until they were written. The easiest to write were the ones least like her because when they showed up, it felt obvious what they would do. Jack, the father and husband, is one character she feels fits that description. Adultery is a common theme, but for Pierpont, her interest was in the intersection of children and adults. Dancing around the complexities of infidelity becomes more difficult with the children. Pierpont is an only child meaning she always existed at the intersection of the adult world. “I just couldn’t keep a diary,” she offers though, saying that because she hadn’t started from birth, it never would feel complete. “I think I was really melancholic kid,” she says. Pierpont grew up off 79th Street in Manhattan, but her characters live off of 86th Street, she says. For her, this seems like her characters take place in a very different world. Many of the places in the book are places she knew well, but her characters end up using those places in different ways. She wanted each character to have their own neighborhood. The characters don’t just stay in Manhattan though. They eventually decamp and head to Jamestown, Rhode Island, just across the bay from Newport. Pierpont had never been before writing about it. “There is something about to a place and knowing aren’t wrong,” she says after visiting the island. She began the novel in 2010, when she started graduate school. Her program pushed her to keep going. She says it is difficult to push forward or even admit that she was writing a book. She usually wakes up early and heads to the library. One component of the novel is Kay’s fanfiction. She often writes little narratives about the Seinfeld characters. “I think fanfiction is interesting–,” she says, explaining that she did research into it stumbling onto web forums. A lot of the shows were shows she didn’t know very well, but Seinfeld, that she knew a lot about.